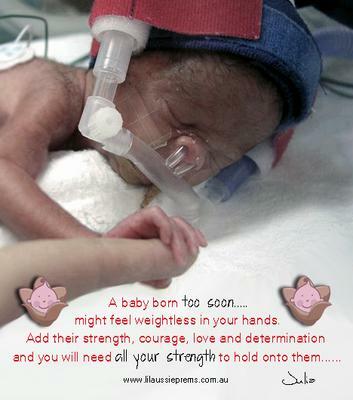 "A baby born too soon might feel weightless in your hands. and you will need all your strength to hold onto them." "Star light, start bright, a premature baby is born tonight. with every ounce of their might. that our baby stays safe in our arms." "Be strong, be patient, don't give up on tomorrow." could be as simple as changing a nappy."